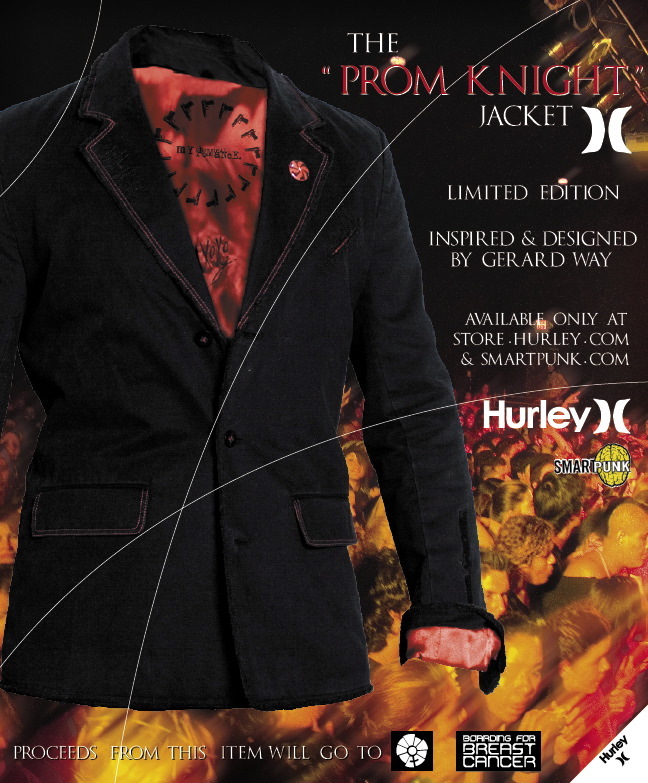 The Prom Knight jacket idea began when Gerard Way, a long-time friend of Hurley, started customizing Hurley’s first blazer jacket released in Fall 2004, by cutting holes in the fabric, spray painting and adding safety pins. The collaboration of the Prom Knight jacket escalated from there... 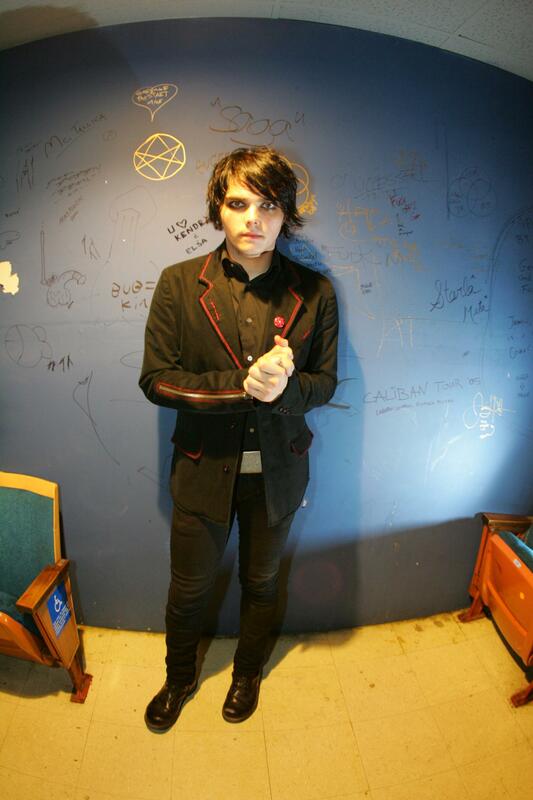 I asked Gerard if he would be interested in designing a custom Hurley blazer. We sold out of the 1000 Prom Knight jackets in 48 hours. Proceeds benefitted Boarding for Breast Cancer.